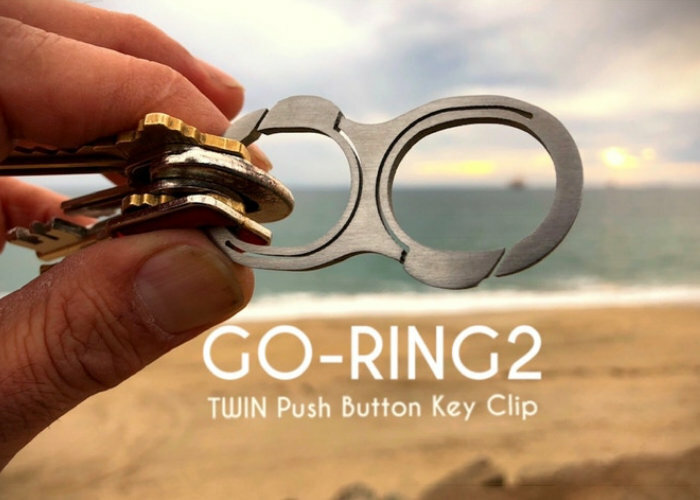 If you are searching for an easier way to keep your keys organised, you maybe interested in the latest gadget from Creative TV in the form of the GO-Ring 2.0. Watch the video below to learn more about the unique design of the key fob which lets you add and remove keys with ease. Now available to back via Kickstarter with early bird pledges available from $24 the GO-Ring 2.0 is expected to start shipping during August 2019. GO-Ring 2.0 is constructed from Grade 5 Titanium.